 For the last 45 year Ritu Kumar has poineered a revival of the finest textile techniques. The revivalist collection is a product of this legacy. Its purpose is to use the finest artisinal techniques still alive today and convert them into a product relevant to a contemporary India. Ritu Kumar’s two year intensive project involved the participation of master craftsmen and their intrinsic knowledge of age old techniques of weaving, spinning and dyeing. This collection uses special pure gold plated yarns to re-create the sophistication for which Benaras and its Ganga Jumana brocades were famous.